But what about all other forms of customer correspondence? To truly realize great savings from paper turn off, why not get consent to start sending general correspondence via email too? eBilling Insight looks at the benefits of of sending all your customer correspondence via email. The key to successful paper turn-off is not just in replacing paper documents with electronic versions but the key is to ‘push’ them to your customers. Striata’s eDocument delivery solution is ideal for all your customer correspondence. It’s about paper turn off, reaching customers via their preferred communication channel and realizing the significant cost savings. 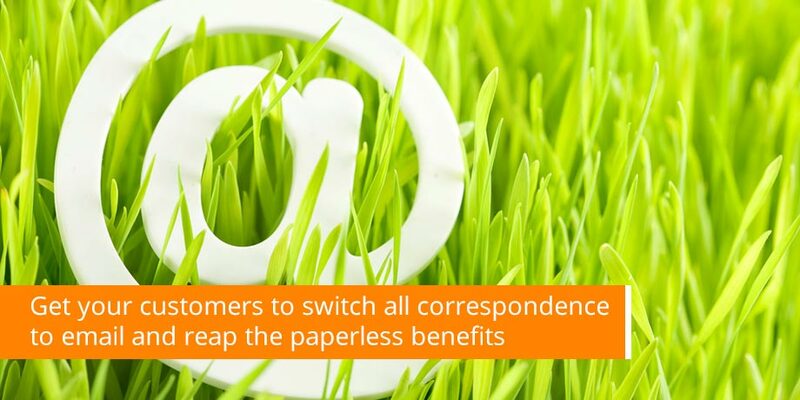 Our one click eConsent process makes going paperless easy for your customer – ask them to turn off all forms of paper correspondence with just one click. Should the documents you’re sending be confidential in nature, you can add encryption and password protect them to ensure security and privacy is maintained.